Have you heard of the Kitty Convict project? 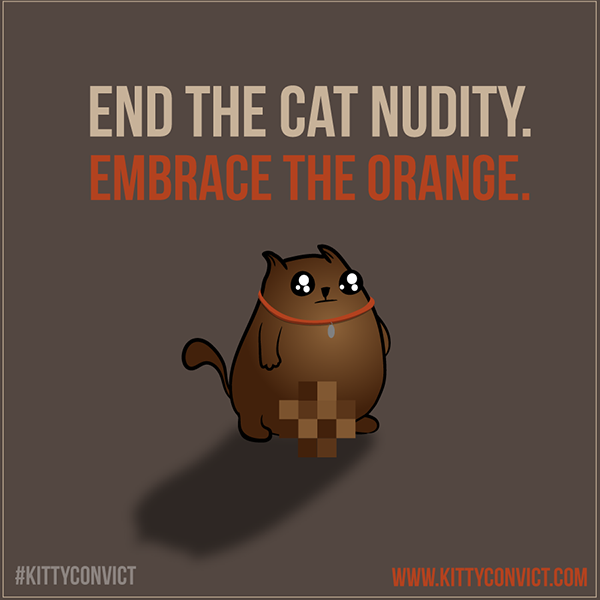 It was started by The Oatmeal who made Exploding Kittens out of which came the Kitty Convict project. Apparently because people are used to seeing outdoor cats roaming around, when they see your indoor cat, they don't think to try and return him home. Less than 5% of missing cats are returned home. 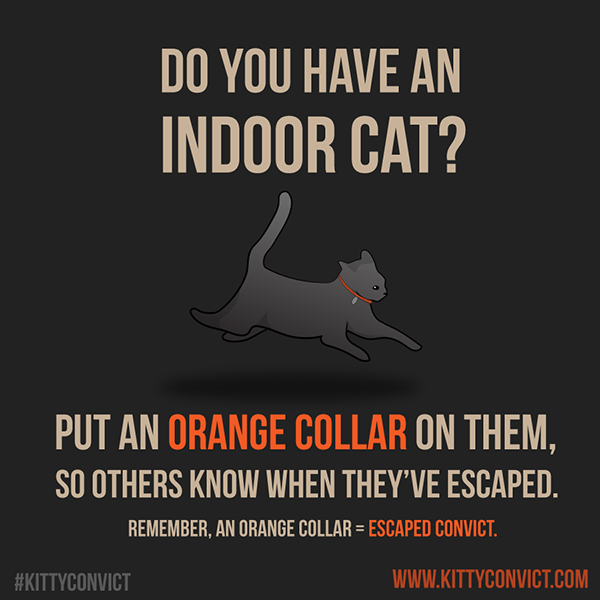 If you have an indoor cat, put an orange collar on him so if he escapes anyone that sees him will know that he is a "kitty convict" on the run, capture him and let you know. Stewie is a seasoned kitty convict. He has escaped three times. Once through a window the house painters left open and twice he pushed a storm door open. Each time we scoured the neighborhood and slept by an open door. Once he came home and twice a neighbor called when he tried to go in their house. 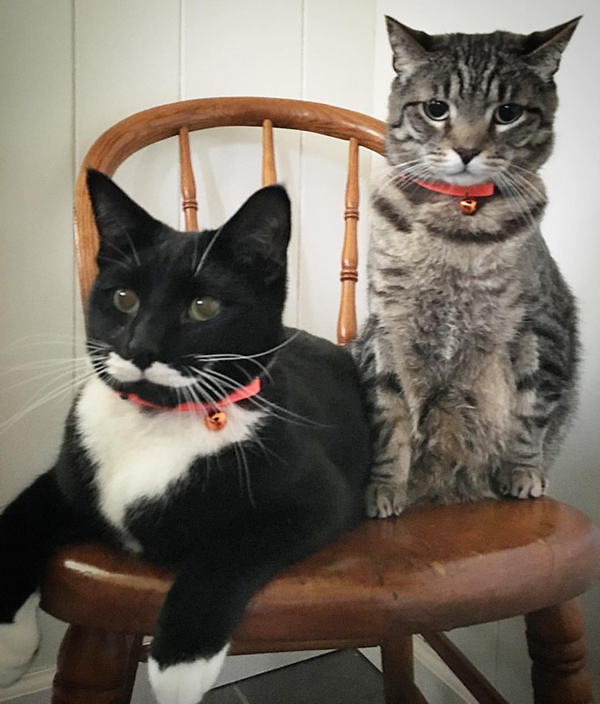 The Kitty Convict project partnered with GoTags on these orange collars with contact info. We were on that like orange on a cone. 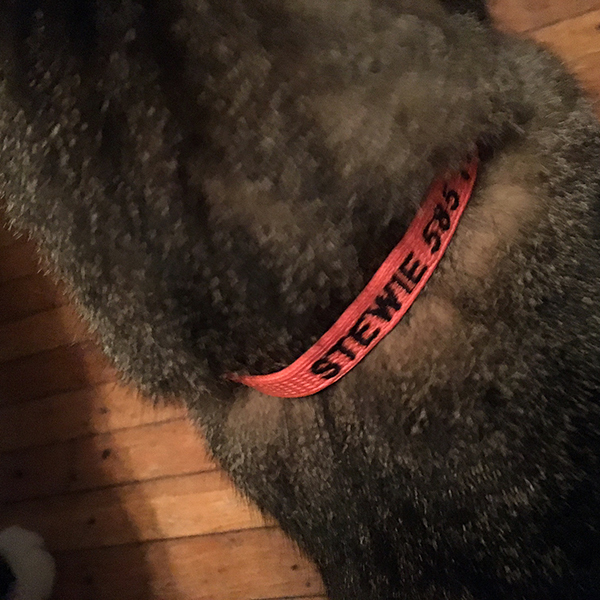 We went with the embroidered info right on the collar because Stewie has a habit of getting tags caught in the heat vents. 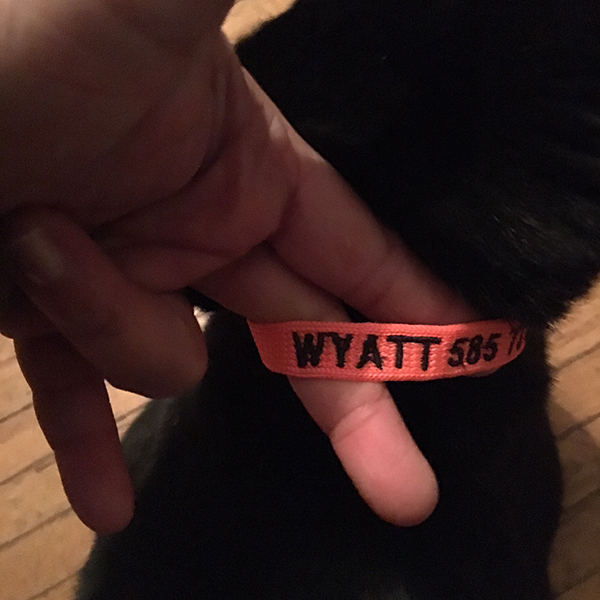 Wyatt hasn't busted out yet, but just in case we got him a collar too. Folks on our neighborhood Next Door site have been posting about the project so I'm hoping if either cat makes a break for it, their orange collars will be spotted and they will be brought swiftly back to their incarceration. We're doing this! Our boys haven't made a break for it in a long long time, but if they do I want them to come home! Brilliant idea! And your boys are looking awfully cute in that shot with their new collars. I've been a huge fan of Stewie's for yeeeears. Thanks for keeping up with the posts!